Asano Naganori of Ako, master of the famed 47 Ronin was born the first son of Asano Nagatomo, Lord of Ako Domain (Hyogo Pref.) 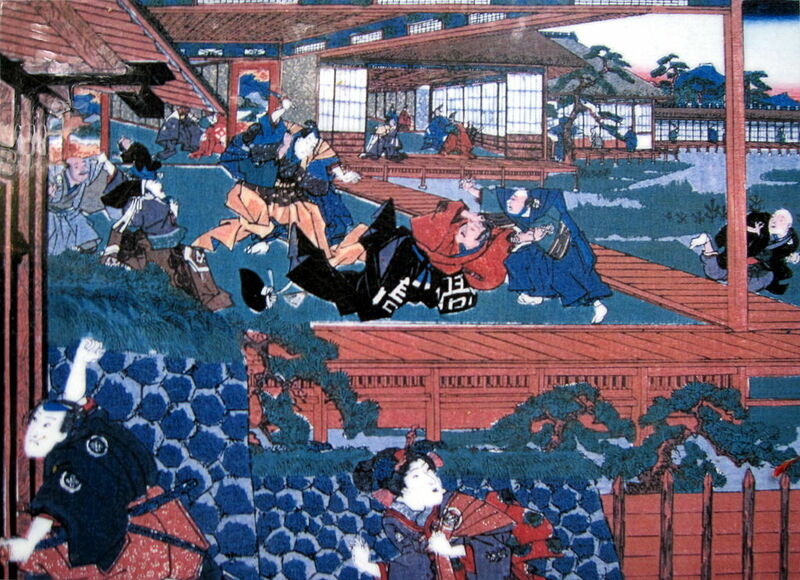 in Edo in 1667. 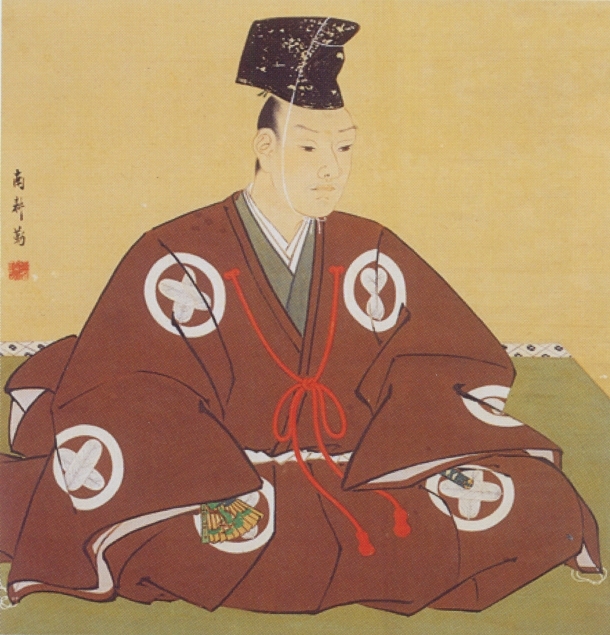 Naganori was just 9 years old when his father died in March, 1675, becoming the 3rdLord of Ako. As an adult, Asano Naganori’s official duties saw him installed as Head of Carpentry details at the Imperial Court, a nominal title as most titles were in those days. 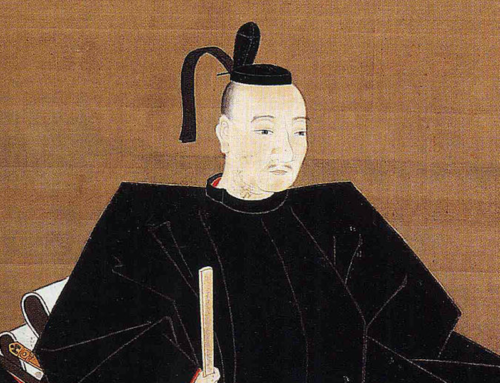 In 1683 he first met Lord Kira Yoshinaka, the Master of Protocol at Edo Castle, when he was appointed one of two daimyo tasked with hosting delegates and guests from the Imperial Court to the Shogun. Lord Kira instructed the younger daimyo, but tensions are said to have arisen between the two. Nagamori would suffer a serious illness circa 1694, and as he was childless, adopted his younger brother, Nagahiro, in order to maintain the family lineage and domain should anything untoward happen to him. Lord Asano was again called upon to host emissaries from Kyoto in 1701, and again he came under the tutelage of Lord Kira. On April 21, 1701, for unknown reasons, tempers flared and Lord Asano drew his short sword, and attacked Lord Kira in the hallway known as the Corridor of Pines. Lord Kira was only wounded in the shoulder and on the forehead, however, as drawing a sword within the confines of Edo castle was a capital offence, lord Asano was ordered to cut himself open. Much of what is “known” about the incident is based on re-worked stories written for Bunraku puppet and Kabuki plays 50 years after the actual event, and many of the inaccuracies and much of the re-worked story has become considered “fact”. The truth of the matter has been buried under the popular story. The men of Ako took vengeance on Lord Kira without really knowing the reason for Lord Asano’s death. None of them were present at the time of the attack, nor were they present for his subsequent seppuku. Asano was known to have been an unstable individual, prone to fits of rage. It has been recorded that he had killed a number of his own retainers over trivial matters. Asano Naganori wrote out his farewell poem before following his orders and committing seppuku on April 21, 1701 aged 36. 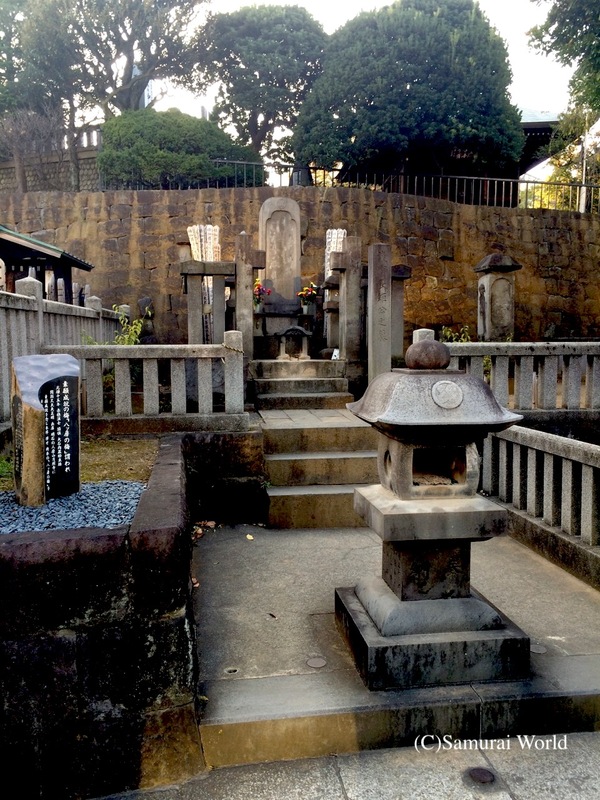 His body was laid to rest in the grounds of the Sengaku-ji Temple. His lands were confiscated, and his 300 samurai cast out to become Ronin, master-less samurai. Under the leadership of Chief Retainer, Oishi Kuranosuke, who had been the castellan of Ako Castle in his master’s absence, the men of Ako dispersed, becoming farmers, artisans, teachers and merchants, allowing the authorities to believe the incident was over. On the night of January 30, 1703, 47 of the former samurai of Ako reformed and attacked the Edo mansion of Lord Kira, taking his head in revenge for their master’s life. 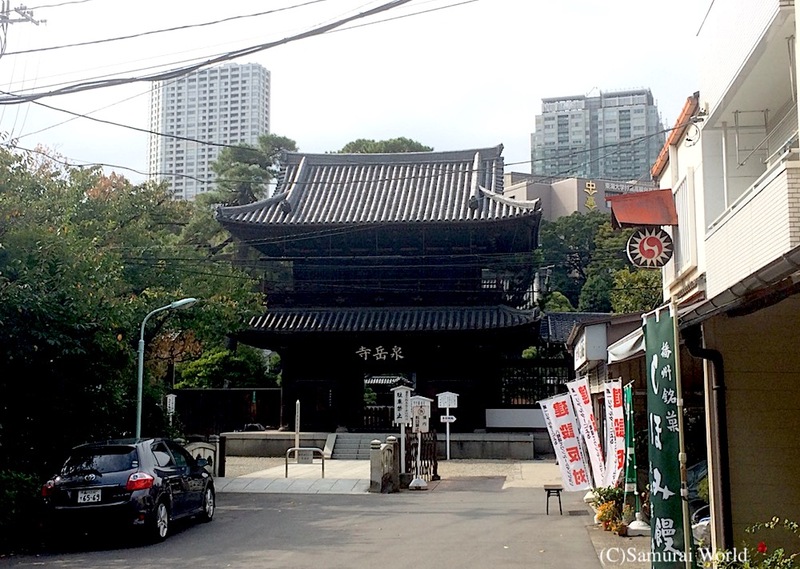 The head was carried 10km across the town to the Sengaku-ji Temple, and placed before the grave of Lord Asano, before the men turned themselves in to the authorities.